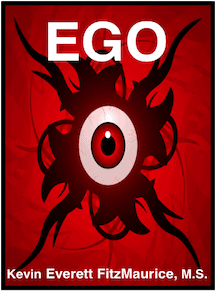 • Ego will help you to recognize, remove, and replace your ego: a.k.a. self-esteem. 1) I am the inner space inside my body. 2) I am the awareness of the inner space inside my body. 3) I am the experience of the inner space inside my body. 4) I am the memory of the inner space inside my body. 5) I am the location of the inner space inside my body. My vessel, heart, soul, mind, and body are one system that functions as one self.